‘R’ You Ready to Take the Leap? R is the leading statistical language used for statistical computation and graphics used by data scientists and data analytics to extract meaning from data. The Comprehensive R Archive Network (CRAN) serves as the package manager for R providing easy package install, the option to store multiple versions and documentation for R, and binaries. 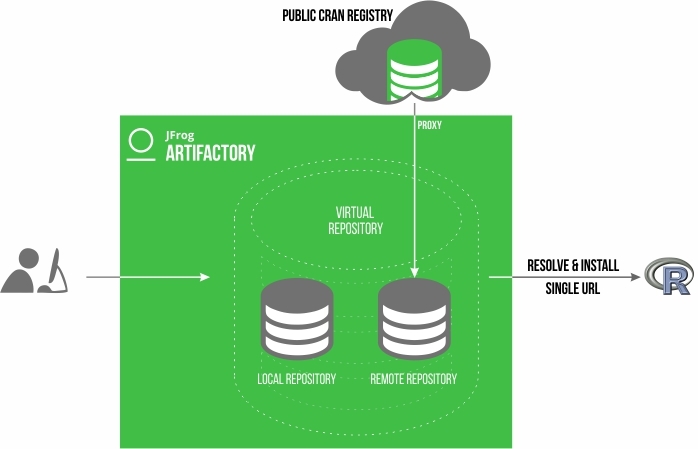 JFrog has expanded its universal repository management offering to include support for R packages using CRAN repositories providing R developers with the benefits of using JFrog Artifactory that provides scaling, security, and visibility. 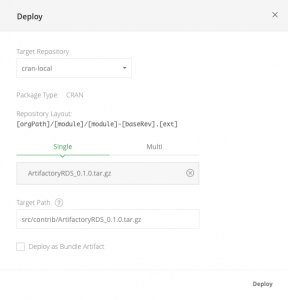 With the release of Artifactory version 6.1, we now natively support CRAN repositories for the R language, giving users full control of their deployment and resolution process of R packages. In this blog post, we will show you the benefits of using Artifactory as your binary package manager for R packages. 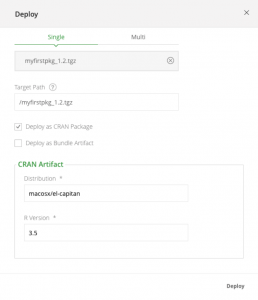 The new CRAN integration offering continues to add to Artifactory’s universal binary management support, with all the benefits. Artifactory integrates with your existing ecosystem to support end-to-end binary management that overcomes the complexity of working with different software package management systems, such as Docker, NPM, and Maven, and provides consistency to your CI/CD workflow. Secure and private local CRAN repositories with fine-grained access control. Artifactory lets you host internal R sources and binaries using local repositories so you can share your packages inside your organization. The ability to proxy remote CRAN resources and cache downloaded R packages to keep you independent of the network and the remote resource. You can also proxy the public CRAN registry (https://cran.r-project.org/) using the remote repository in Artifactory. This means that you’re not dependent on the network performance between your data center and any external R repositories. And your performance won’t be impacted due to outages or changes to the packages in the external repository. The Artifactory virtual R repository aggregates your local and remote repositories into one, giving you the ability to resolve and install packages from a single URL. You can view selected metadata of the R package directly from the Artifactory UI. Metadata calculation of the R packages is hosted in the Artifactory local repositories. In the Tree Browser, select your virtual CRAN repository and scroll down to find and select the package you want to inspect. The metadata is displayed in the CRAN Info tab. Artifactory supports two types of R packages: binaries and sources. They are treated differently in terms of the deployment in the UI. You can drag and drop, or select an R package to upload in Deploy in the UI. Artifactory will identify if it’s a source or binary package. You can keep older versions of the packages uploaded to local repositories. Storage sharding across multiple zones allows you to create zones or regions of sharded data to provide additional redundancy in case one of your zones becomes unavailable. From 6.1, you can determine the order in which the data is written between the zones and can set the method for establishing the free space when writing to the mounts in the neighboring zones. For a full list of features, improvements, and issues, please refer to the 6.1 Release Notes. R you ready to get started? !